Today, Duke University published a study analyzing oil- and gas-related spill rates in four states, identifying 6,648 spills reported across Colorado, New Mexico, North Dakota and Pennsylvania from 2005 to 2014. But, much like Duke’s 2016 study of spills in North Dakota, this latest study leaves out some crucial information that is essential to understanding the impact of those numbers. Before we get into why, it’s worth pointing out briefly that one of the researchers on the team, Kate Konschnik, previously worked for Senator Sheldon Whitehouse (D-R.I.), who was a co-sponsor of the FRAC Act — legislation that would put EPA in control of regulating hydraulic fracturing. Whitehouse is also a huge proponent of activist Bill McKibben and one of the ringleaders of the #ExxonKnew movement. Konschnik also completed a fellowship with Earthjustice and was a former member of the Montgomery County (Md.) Sierra Club’s executive committee. These are two of the most well-known anti-fracking groups in the country. So in North Dakota for instance, if a worker spills one barrel (42 gallons) of water on or off containment, there has to be a record for it. In Pennsylvania, five gallons is the amount allowed before a spill has to be reported, even if it’s freshwater. The most important fact when looking at spills is whether or not it impacted the outside environment. States like North Dakota and Pennsylvania have more reported violations because they require operators to report spills at far lower volumes than other states, and regardless of whether or not the spill left containment. Considering that the 2016 Duke study analyzed 3,900 brine spills in North Dakota from 2007 to 2015, it’s a fair statement to say that the majority of the 4,453 spills the 2017 study looked at in the state were these same brine spills. That’s important because in 2014 the New York Timescreated a database that showed that 78 percent of brine spills nationwide between Jan. 1, 2006, and Oct. 13, 2014, were contained on site and never affected the environment. It’s also worth pointing out that as production in North Dakota increased by almost 400 percent from 2010 to 2014, the number of brine spills declined by over 50 percent on a per barrel basis. Also, E&E News reported in a 2013 article that, “nearly 80 percent of the spills in the state were contained to the well site” in North Dakota. Similarly, North Dakota Department of Health data shows that 70 percent of spills reported between Nov. 1, 2012, and Nov. 11, 2013, were contained on site. The most updated information for 2016 shows that nearly 77 percent of all reported spills in North Dakota were entirely contained and thus had zero environmental impact, and that 58 percent of 2016 North Dakota spills were 10 barrels or less. These statistics are significant considering the new Duke study notes that more than 67 percent of the spills identified in the report occurred in North Dakota. 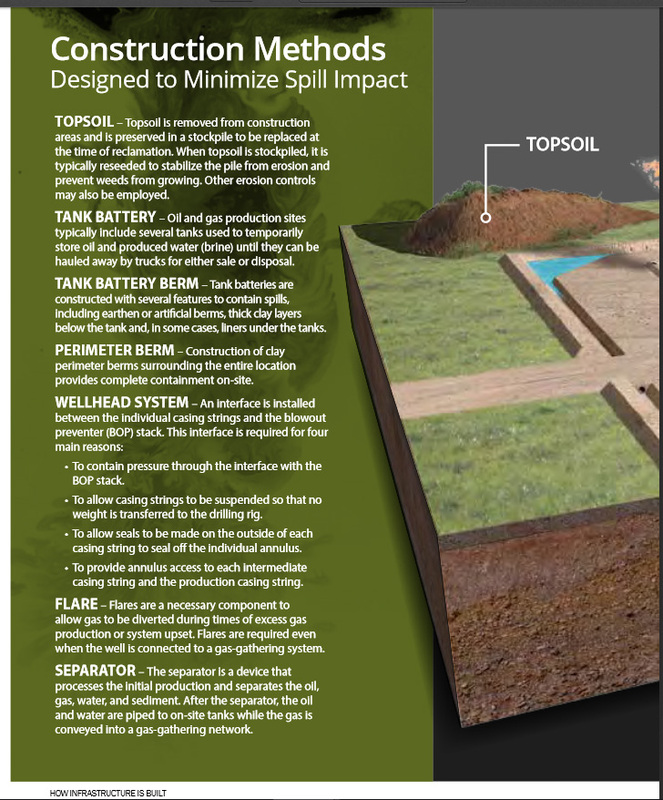 Across the country, well sites are designed to mitigate risks and contain any fluid spills whenever possible, as the following infographic for North Dakota shows. While the overall number of spills that were considered freshwater in the study is relatively low — 46 overall, with 41 such spills in North Dakota — the volumes of those spills makes up a relatively large chunk of the total volume of 12,350,000 gallons. That’s an important factor that’s glossed over in the study. But it’s significant for other reasons, including the potential for environmental impact. Since the report doesn’t give exact figures for the other nine other freshwater spills of more than 26,417 gallons in North Dakota, we’ll go conservative and place them right at the 26,417 gallons even though they actually exceeded that amount. That’s 1,228,953 gallons for the 10 spills. In other words, the 10 freshwater spill incidents of 26,417 gallons or more in North Dakota accounted for at least 10 percent of the total volume of the spills in all four states — and potentially a much higher percentage depending on the totals of those other nine freshwater spills in North Dakota and 46 total freshwater spills. Using the same above calculations, 0.22 percent of the total spills in North Dakota accounted for at least 14 percent of the total volume of all of the spills from 2005-2014 in the state. In other words, volume makes a difference. All of these elements must be taken into account when discussing the potential impacts of any industry on the environment or public — what might have spilled, how much of it spilled, and was that spill contained or did it reach the outside environment? The industry can always work to improve on the number of spills — and every industry should continuously strive for improvements. However, to give the number of spills without offering any context to the public, simply allowing them to draw their own conclusions on what the areas surrounding those spill sites must look like, is irresponsible at best. Producers have worked closely with scientists and regulators to prevent and mitigate spills. North Dakota has formed a saltwater spill task force made up of university experts, industry representatives, and state regulators. Ten of the biggest companies in the Bakken, led by Continental Resources, have partnered with researchers at the University of North Dakota to form the Energy and Environmental Research Center (EERC) – a program to “with the goal of simultaneously improving Bakken system oil recovery while reducing its environmental footprint.” A large part of that effort is focused on spill prevention and mitigation. No industry is 100 percent risk free, and so the steps taken to prevent environmental or public harm if something were to go wrong are some of the most important plans laid out by a company. These specific wellsite designs that have been adapted by operators in various plays, often long before regulators get them in the books as requirements, are a major factor in mitigating these risks. Powersource: Washington County Landowners Caught in Eminent Domain Fight with Rover - "If David Rheinlander believes that his 5.5 acres, which include woods and a modular home, are worth $10 million, then who exactly is the Rover Pipeline or the federal government, for that matter, to say otherwise? “If they don’t like it, go around me,” Mr. Rheinlander said less than a week after..."
StateImpact Pennsylvania: GOP Lawmaker Reintroduces Controversial Royalties Bill - "Representative Garth Everett has called himself as a “sometimes marathoner” who is in it for the long haul. He’s now on his third attempt to pass legislation ensuring Pennsylvania landowners are paid a minimum royalty for natural gas..."
TriplePundit: Inside the House Bill That Would Close Down the EPA - "U.S. President Donald Trump has made no secret of his mission to slim down government oversight of business. Some supporters in Congress, however, don’t think that mission goes far enough. Last week, a little-known junior representative from Florida dropped a bombshell when he submitted a bill..."
WKSU: A Longshot Again: What Gov. Kasich's Gas and Oil Tax Could Mean to the Industry - "Leaders in the Ohio House have already said they’re not interested in raising taxes on the oil and gas industry. But Gov. John Kasich is still pushing his severance tax proposal. Gov. John Kasich’s budget would raise the tax rate on oil and gas drillers to 6.5 percent. That’s..."
Press release: Gulfport Energy Corporation Reports Fourth Quarter and Year-End 2016 Results - "For the full year of 2016, Gulfport reported a net loss of $979.7 million, or $7.97 per diluted share, on oil and natural gas revenues of $385.9 million. For the full year of 2016, EBITDA was $43.4 million and cash flow from operating activities before changes in operating assets and..."
Press release: Chesapeake Energy Corporation Provides 2017 Guidance and Operational Update - "In Northeast Appalachia, our activities in the Marcellus Shale in Pennsylvania and the Utica Shale in Ohio will be more focused on completing inventory wells compared to drilling and completing new wells. We also plan to begin applying more aggressive fracture stimulation procedures to wells in both the Marcellus and our dry gas Utica areas..."
News OK: Chesapeake Energy and McClendon Estate Reach Settlement - "Chesapeake Energy Corp. and the estate of co-founder and former CEO Aubrey McClendon have agreed to settle a multimillion-dollar dispute over data, stocks and use of a corporate jet. Under terms of the deal filed in state court, Chesapeake agreed to pay $3.25 million in legal fees and dropped claims for $445 million..."
Free Press Standard: "Gold" Translates Into Big $$$ - "When Ohio Governor John Kasich visited the Momentum oil and gas fractionation facility at Scio in 2014 and proclaimed, “There’s gold in them there hills,” he knew exactly what he was talking about. 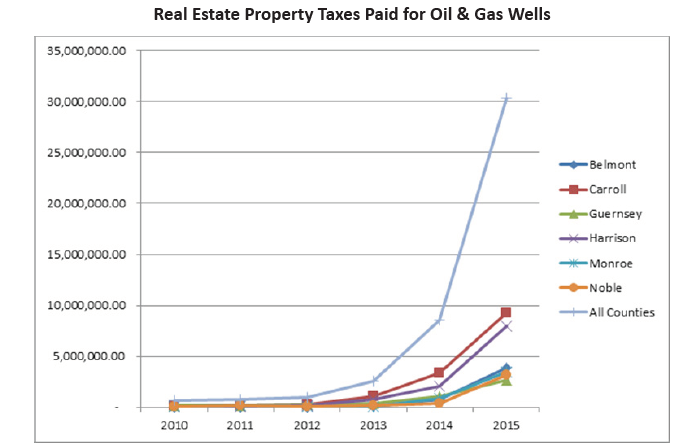 That “gold”, aka oil and gas, is padding the coffers of governments in the state in the form of ad valorem taxes..."
The Energy Collective: Learning to Frack - "Just ten years ago shale oil was expensive. Global oil prices spiked to $135/barrel in 2008 but shale oil didn’t and couldn’t respond. Now, at only $55/barrel, U.S. oil producers are going all in, announcing billions of dollars of increased investment, particularly in Texas and North Dakota, and energy experts like..."
Cincinnati.com: Kasich Budget Threatens Ohio's Energy Jobs - "Gov. John Kasich's final executive budget is a technology-focused proposal that threatens Ohio’s energy sector and future job prospects with a 500 percent tax increase. After years of trying to regain solid footing, Ohio’s blue-collar manufacturing shows more promise than it has in decades. A key to unlocking the state’s long-term success lies buried..."
Powersource: Series of Earthquakes in Lawrence County Linked to Fracking in Utica Shale Wells - "Pennsylvania regulators have placed conditions and monitoring requirements on Hilcorp Energy Co.’s fracking operations in western Lawrence County to reduce the risk that its deep gas well activities could trigger more small earthquakes like the ones the company is suspected of causing last..."
U.S. Department of Energy Office of Science: Hydraulic Fluids Hospitable for Microbes - "Hydraulic fracturing uses high-pressure injection of fresh water and chemical additives deep into the earth to generate extensive fractures in the shale matrix, thereby releasing hydrocarbons trapped in tiny pore spaces. A recent study—led by researchers from The Ohio State University, Department of Energy’s (DOE) Environmental Molecular Sciences Laboratory (EMSL), DOE Joint Genome Institute (JGI), and University of Maine—found that along with these fluids, microbes from the surface are also being injected and colonizing the deep subsurface..."
ABC News: Pruitt OK'd as EPA Chief Over Environmentalists' Objections - "Over the strong objections of environmental groups, the Senate confirmed Scott Pruitt to lead the Environmental Protection Agency on Friday, giving President Donald Trump an eager partner to fulfill his campaign pledge to increase the use of planet-warming fossil fuels. Pruitt was sworn in later Friday by Supreme Court Justice Samuel Alito. In six years as..."
Salon: Fossil Fuels' BFF: Scott Pruitt's Emails Show Why Republicans Rushed Through His EPA Confirmation - "On the eve of his confirmation, former Oklahoma attorney general Scott Pruitt was ordered by an Oklahoma judge to turn over thousands of communications between his office and the fossil fuel industry. But before those records were made public, Senate Republicans rushed to narrowly confirm Pruitt..."
Forbes: Stuck in the $50s - Why the Oil Price is Going Nowhere Fast - "This far into 2017, week after oil trading week has ended on very familiar territory with both Brent and West Texas Intermediate (WTI) – the world most watched crude benchmarks – stuck above the $50 per barrel mark. 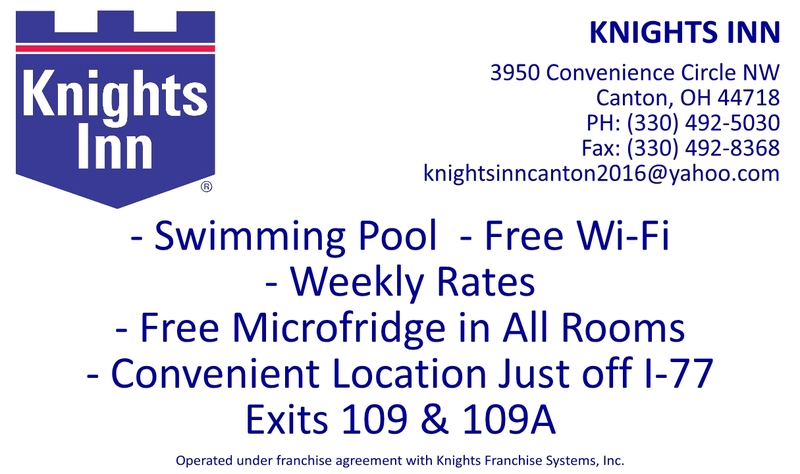 While that gives crude producers some much needed price stability, the market seems to be..."
Columbus Business First: Quality Inn in Cambridge, Ohio Up for Auction After Massive Revenue Drop Related to Utica Shale Drilling Dropoff - "The rise and fall of eastern Ohio’s oil and gas industry can be symbolized in a hotel. In 2012, as Utica shale activity was still ramping up, a private equity fund bought and renovated an Econo Lodge in Cambridge, converting it to a Quality Inn. Wexford Capital LP spent $2.5 million on the purchase and $1.4 million on..."
Energy in Depth: INFOGRAPHIC: Cancer Incidence Rates in Fracking and Non-Fracking States - "EID has debunked numerous activist-funded or authored health studies in recent years, and most of them have either specifically claimed fracking causes cancer or insinuated it can cause cancer, despite having no evidence to support..."
News OK: Chesapeake Energy Sells Properties Surrounding Campus - "Chesapeake Energy Corp. last month sold nine properties surrounding its Oklahoma City headquarters for about $9 million, continuing efforts to shed nearby real estate that is no longer part of the company's strategy. “We are pleased to have sold a series of properties adjacent to our Oklahoma City campus, and we continue to market a few remaining properties in..."
Seeking Alpha: Rice Energy Q4 2016 Results - Earnings Call Transcript - "Couple other things to note, we recognized positive performance revisions for both producing wells and PUD type curves. For these PUD locations, development costs are estimated to be $0.58 per Mcf, which is consistent with our 2017 CapEx budget. We've grown reserves at a pretty healthy clip over the last two years and 92% of our mapped core Marcellus and Utica locations aren't yet classified as proved, which gives us excellent..."
Press release: Carrizo Oil & Gas, Inc. Announces Fourth Quarter and Year-End Results and Provides 2017 Guidance - "In Appalachia, which encompasses the Company's Utica Shale and Marcellus Shale positions, Carrizo did not drill or complete any operated wells during the fourth quarter. Oil and condensate production from the Utica was more than 200 Bbls/d during the quarter, down from approximately 250 Bbls/d in the prior quarter due to the lack of activity. In the Marcellus, the Company's production was 35.8 MMcf/d, down from 40.9 MMcf/d in the prior quarter due to significant voluntary production curtailments during..."
Seeking Alpha: Carrizo Oil & Gas (CRZO) Q4 2016 Results - Earnings Call Transcript - "Our management team is pleased to report another outstanding quarter for the company. Our net oil production of 28,727 barrels of oil per day exceeded the high-end of our guidance range and total production of 44,775 barrels of oil equivalent per day also exceeded the..."
Press release: Chesapeake Energy Corporation 2016 Full Year and Fourth Quarter Financial and Operational Results - "Chesapeake is currently utilizing 17 drilling rigs across its operating areas, six of which are located in the Eagle Ford Shale, four in the Mid-Continent area, three in the Haynesville Shale, two in the Powder River Basin and two in Northeast Appalachia. Chesapeake plans to utilize..."
Seeking Alpha: Chesapeake Energy (CHK) Q4 2016 Results - Earnings Call Transcript - "2016 was a year of significant progress and substantial achievements for Chesapeake Energy. We are stronger today than any other time in our history. Looking back across this challenging period of low commodity prices, we've successfully..."
PTTGC America, the Thailand-based petrochemicals giant considering building a $5.7 billion ethane cracker plant in Belmont County, today announced it would postpone its decision on whether to move forward with the project. The final investment decision is planned toward the end of this year instead of its initial target of March, Toasaporn Boonyapipat, president and CEO of PTTGC America, said in a statement. “We now anticipate reaching a final investment decision in late 2017, which is several months later than what we anticipated,” he said in a press released issued Tuesday afternoon. Boonyapipat said that the project requires additional attention related to the initial designs that were submitted to the company by two engineering, procurement and construction contractors. “We recognized the need for further discussions with each of them so that we will be in a stronger position to make our decision on the engineering design and economic feasibility of the project,” he said. Click here to download the latest Utica shale permitting report from the Ohio Department of Natural Resources. The Center for Biological Diversity, in conjunction with the usual team of fringe anti-fracking activists — the Ohio Sierra Club, the Ohio Environmental Council (OEC), Athens County Fraction Action Network (ACFAN) and the Buckeye Environmental Network — recently put out a press release announcing they are again protesting the upcoming Bureau of Land Management (BLM) sale of federal minerals in the Wayne National Forest (WNF) slated for March 23. To be clear, the Environmental Assessment is 209 pages and the response to the December protest adds another 38 pages of rebuttal. And since it’s apparently too “confusing” for these activists to actually read, we will address each of their three main issues in the not-so-new protest and the responses to each which have already been addressed by the BLM, both the in EA and again reinforced in the BLM’s December decision. The only tangible action these anti-fracking activists are accomplishing with this most recent media stunt is wasting taxpayer dollars by forcing a government agency to respond to their recycled protests. As one can clearly see, the BLM continues to address their concerns and refute their false claims. The irony of this waste of time and taxpayer money is that, simultaneously, the leasing of federal minerals has already brought in $1.7 million, with the upcoming March sale slated to surpass the December sale. In short, as fringe environmental activists seek to sue the federal government, bog down federal employees with paperwork, and waste taxpayer dollars, the oil and natural gas industry (through the very thing they are trying to stop) is bringing in millions to government coffers. 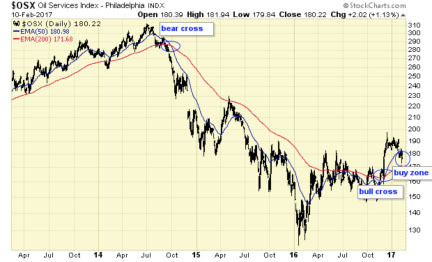 Technical Analyst Jack Chan reads the charts and sees a major buy signal for energy. $OSX is on a major buy signal, which can last for months and years. 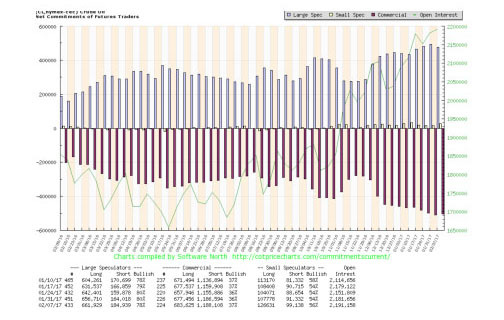 COT data is supportive for overall higher oil prices. 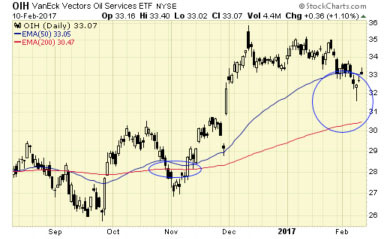 OIH is one of a few energy sector ETFs we are holding for long term gains. 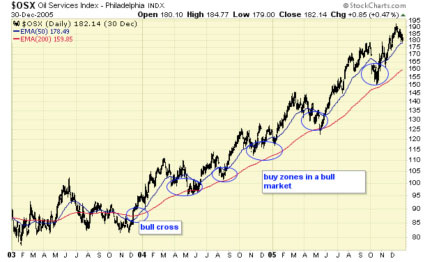 Prices dipped into our buy zone in November, and again this week. Our trading model identifies the buy zones in a bull market, simple and effective. Energy sector gave a major buy signal in 2016, and the current correction has dropped prices into our buy zone. 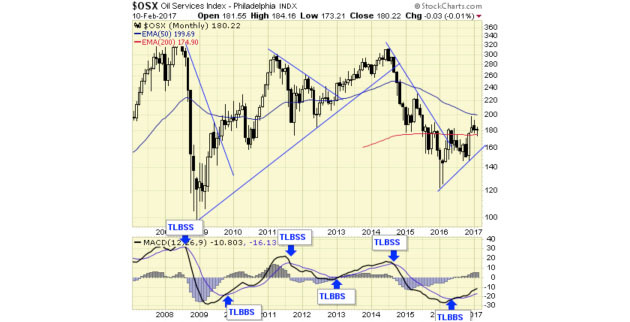 Energy sector is on a major buy signal. Prices are now in our buy zone. We are holding energy sector ETFs for long term gains. Want to read more Energy Report articles like this? Sign up for our free e-newsletter, and you'll learn when new articles have been published. To see a list of recent articles with industry analysts and commentators, visit our Streetwise Articles page. 2) Jack Chan: We do not offer predictions or forecasts for the markets. What you see here is our simple trading model, which provides us the signals and set-ups to be either long, short, or in cash at any given time. Entry points and stops are provided in real time to subscribers, therefore, this update may not reflect our current positions in the markets. Trade at your own discretion. We also provide coverage to the major indexes and oil sector. 4) From time to time, Streetwise Reports LLC and its directors, officers, employees or members of their families, as well as persons interviewed for articles and interviews on the site, may have a long or short position in securities mentioned. Directors, officers, employees or members of their families are prohibited from making purchases and/or sales of those securities in the open market or otherwise during the up-to-four-week interval from the time of the interview until after it publishes. For more than four years, the natural gas company tapping the Marcellus Shale beneath Paul Sidorek’s 150-acre property in rural northeastern Pennsylvania took deductions for preparing and shipping his share of the gas. The deductions reduced his royalties by $5,000 a month, sometimes more. Mr. Sidorek, an accountant, contested the charges and in September, the arbitrator who heard the case agreed with him. The wells’ operator, Chesapeake Energy Corp., had breached the terms of the lease agreement, the arbitrator found. 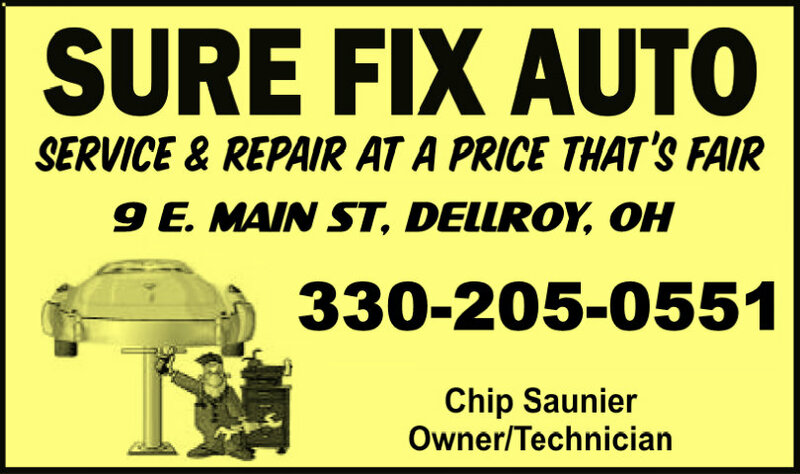 He ordered the Oklahoma-based company to repay all of Mr. Sidorek’s past deductions and to stop taking them in the future. “To hold otherwise would be to render the express language of the lease prohibiting such deductions a nullity,” he wrote. Graybeards like myself just shake our heads in wonder. Although many people have heard of the oft-repeated claim that electricity from nuclear power would be ‘too cheap to meter,’ few recall that there have been other threats and promises to transform the industry, especially due to technological advances. Trees are likely to fall soon to make way for a $4.2 billion natural-gas pipeline slicing through Ohio, according to an eminent-domain lawsuit filed in federal court in Columbus. Rover Pipeline said it must "complete all tree-felling activities" by March 31 to meet contractual obligations with gas shippers and "to reduce impacts, if any, on protected species of wildlife." "Rover must begin construction immediately," the suit says. The 713-mile pipeline received federal approval despite opposition from some communities along its path and being rerouted at least twice early in its planning. The federal government set the deadline so tree removal doesn't disturb federally protected bats that begin roosting in April. It was one year ago that the University of Cincinnati released its data on the most comprehensive Utica Shale groundwater fracking study ever conducted in Ohio. 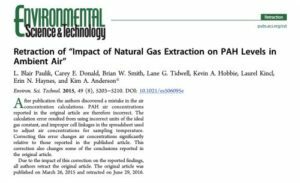 The study found “no evidence for natural gas contamination” and was “disappointing” news to the anti-fracking community, which funded part of the study. Despite the fact taxpayers also funded this study, the paper has yet to be published by a peer-reviewed scientific journal. However, it was almost a year ago that Townsend Small stated in an email to the National Association of Royalty Owner’s (NARO) that UC is “currently working to prepare these data for publication in a peer-reviewed journal.” In other words, it’s been one year and results are still the same. At the end of the day, it’s on the University of Cincinnati to circulate the unpublished manuscript among the academic community to find a scientific publication to accept its findings. Without doing so, the research cannot be used for National Environmental Policy Act (NEPA) reviews, such as the recent environmental assessment that was conducted for leasing in the Wayne National Forest. UC’s indefinite delay in securing scientific journal publication of a study that found no water contamination from hydraulic fracturing — despite scrutiny, media attention, and numerous calls from groups and elected officials to do so — is all the more interesting considering UC was able publish the results of its 2015 study that claimed fracking was causing significant air pollution in Carroll County. That study appeared in Environmental Science & Technology just three months after it was completed. But that study was quietly retracted due to “errors” and “incorrect” calculations. In fact, the researchers’ “honest calculation errors” in the original study led to an exaggeration in the cancer risk from PAH emissions in Carroll County by an astounding 7,250 times what the corrected study shows they actually are. Both studies were first announced at events hosted by Carroll County Concerned Citizens (CCCC), a well-known anti-fracking group that has since dismantled. The same professor that presented the air quality study results to CCCC, study co-lead author Dr. Erin Hayes, has also participated in other anti-fracking events. Making matters worse is the fact that the Carroll County air study was 100 percent taxpayer funded. UC’s Center for Environmental Genetics (CEG) received federal tax dollars for this study in the form of a grant from the NIH’s National Institute of Environmental Health Sciences (NIEHS) for $47,910. Additionally, UC and others have announced similar efforts to attract grant funding for studies all across the Utica Shale region. Most recently fringe environmental activists led by Columbus environmental lobbyists, the Ohio Environmental Council, announced their plans to chase taxpayer dollars toward a solution in search of a problem. Ohioans deserve a full explanation as to why the two taxpayer-funded studies led by UC received two very different levels of attention in the scientific community. It’s been one year since UC announced the findings on its groundwater study (which cost taxpayers $400,000, by the way) and yet Ohioans are still waiting for the study to be peer-reviewed and published. By any measure, this example is of serious concern and the Ohio UC case study should pose a serious question to a larger problem that may exist with federal and state tax dollars being used to support academic research to drive a particular bias. Is the academic community using taxpayer dollars to promote an agenda? Are studies that show that fracking is not causing widespread systemic groundwater contamination being muted by the refusal of scientific publications to review and publish data that does not fit their narrative? Volatility in the oil and gas markets continues, with prices plunging yet again in the recent chaos surrounding Greece's default negotiations and other global political uncertainties. But a rebound is inevitable, and Mackie Research's Bill Newman has his eye on companies that have managed to grow, step by step, even in hard times. In this interview with The Energy Report, Newman identifies companies with individual stories that will, in the end, defy the trend. 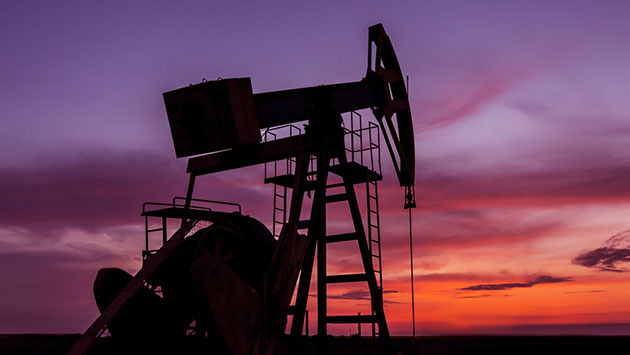 The Energy Report: With the collapse of the crude oil price and the timing of a recovery difficult to predict, the energy sector has fallen out of favor with investors. In the current oil and gas investment climate, are there any stocks that are immune to the negative sentiment and can still perform? Bill Newman: We had low commodities prices over the past two years, which have really hit the junior oil and gas sector hard, alongside the corresponding valuations and share prices of many small-cap energy companies—but this is where the opportunity exists for investors today. The companies that have survived are generally underleveraged and it's been incredible how efficient they've become in driving down drilling and completion costs. These companies have been able to really improve the well economics and are generating strong returns even at lower commodity prices. With a stronger and more stable oil price outlook expected in 2017, activity is starting to pick up and investors should be once again looking at those juniors that have survived the last two years, as they are positioned for healthy returns as the energy market firms back up and gets back to business. TER: So which small-cap energy companies do you like right now? BN: Domestically, we like companies that are applying horizontal drilling and multi-stage frac technology to unlock the Mannville oil and gas trend in Alberta. Generally, the well costs are low and the reserves sizable, so the economics are very attractive. The three Mannville players we like are Point Loma Resources Ltd. (PLX:TSX), Prairie Provident Resources Inc. (PPR:TSX) and Altura Energy Inc. (ATU:TSX.V). All three are relatively new companies with clean balance sheets, are opportunity rich, and we expect them to show substantial growth this year. TER: Let's take your first pick, Point Loma. What makes it stand out? BN: Point Loma Resources is a new start-up and it holds a huge concentrated land base of over 200,000 net acres in west central Alberta with a massive horizontal drilling inventory (over 400 horizontal locations). The company was founded by a strong management team and board that are from highly successful oil and gas start-ups including Painted Pony, Thunder Energy, Surge Energy and Ember Resources. Production has built very quickly from around 135 barrels of oil equivalent per day1(35 boe/d) when it went public in July 2016 to an exit 2016 rate of 570 boe/d, mostly through the tie-in of behind pipe production volumes. In late January 2017, Point Loma announced an acquisition of an additional ~400 boe/d of production that came with over 55,000 net acres of land, which is a perfect fit with its existing assets. So we expect Point Loma will be producing over 1,100 boe/d by the end of Q1/17 through the tie-in of additional behind pipe volumes and increase to over 1,750 boe/d by year-end. With so much land and a very large drilling inventory we expect production to continue to grow for many years. Through acquisitions and organic growth, Point Loma is targeting to grow to 10,000 boe/d within four to five years and this team has done it before. 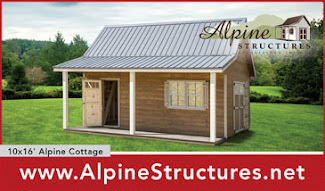 Valuation wise, given the company is not well known as a new start-up yet, Point Loma is one of the cheapest stocks in the domestic Canadian space today, trading far below where it should be and management's average cost is approximately $0.59/share (versus the current trading price of $0.58/share), which means investors today can buy in and be aligned with management as they create value in the future for shareholders. TER: What about Prairie Provident? How is it different from Point Loma? BN: Prairie Provident Resources is also targeting Mannville plays within Alberta. 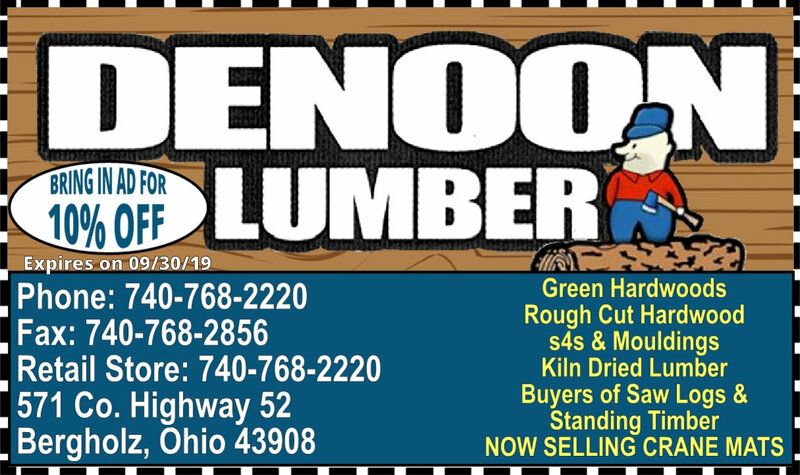 The company is a little larger with current production of approximately 5,500 boe/d and should be over 6,000 boe/d by year-end. Prairie Provident has an inventory of over 170 horizontal development drilling locations, which should generate stable growth for many years. The company is cheap on a net asset value basis. In January the company released its year-end 2016 reserves that showed a proven developed producing valued at approximately $1.14/share versus the current market price of around $0.72. In other words it is trading below its PDP value and a big discount to its proven plus probable value of $2.17/share. Prairie Provident is also cheap on a cash flow basis, trading at just a 2.5x multiple of our 2017 cash flow forecast. We think the discount will start to shrink as the company achieves its production targets and becomes better known by the market. TER: What else can you tell us about Prairie Provident? BN: Investors might be unaware that Prairie Provident holds over 230,000 net acres in the Saint Lawrence Lowlands in Quebec that is prospective for the Utica Shale. Later this year the Quebec government could release new regulations that govern the oil and gas industry that might lead to the drilling of the Utica, which was pretty much shut down in 2011. It's unclear how attractive or restrictive the new regulations will be but the Quebec play is really a free option for investors in the Prairie Provident asset base. TER: And Altura? What's its story? BN: Altura Energy Inc. was founded by high profile board members, including Darren Gee, president & CEO of Peyto Exploration, and Brian Laverne, president & CEO of Storm Resources, and is run by an experienced CEO, David Burghardt (ex-Vermillion Energy). Altura's assets are located in east central Alberta and the company is targeting oil within the Upper Mannville Group, specifically the Sparky and Rex reservoirs. Management has applied its extensive experience in horizontal drilling and completion technology to achieve the lowest well costs with industry-leading rates of return. The well economics are great because the Sparky and Rex reservoirs have large oil in place, with low drilling and operating costs. Like Point Loma and Prairie Provident, Altura is a growth story focused on the Mannville. The company has taken production from about 400 bbl/d last year to over 900 boe/d currently and it should exit this year with over 1,350 boe/d. And it is in good shape financially with no debt and current working capital of about $9 million, and it should fund most of its 2017 drilling program with cash flow. The next catalyst should be the release of its reserves report on February 24. Altura had a 100% drilling success rate in 2016 so reserves should look good. TER: What about international companies? What's your strategy there? BN: Internationally, we like companies that can grow production through lower risk appraisal and development plays, as well as those international companies with exposure to massive high-impact higher-reward resources plays or exploration and appraisal upside for speculative appeal. The attractiveness to invest in small-cap international energy companies is gaining exposure to plays that can potentially provide investors to multi-bagger upside, targeting resources in the 50 million to billion-plus barrel size. So we like Condor Petroleum Inc. (CPI:TSX). The company has a 100% interest in licences in Thrace Basin in Western Turkey and in the Pre-Caspian Basin in Kazakhstan. Condor has made discoveries in both countries and has recently started light oil production of 500 bbl/d in Kazakhstan. We expect first natural gas production of about 10 million cubic feet per day (10 mmcf/d) in Turkey to start up in the second quarter of this year. That should give the company a cash flow base to fund more development in both countries. The natural gas field in Turkey is called the Poyraz Ridge, and Condor just finished a very successful four-well drilling program to develop and appraise the field. All four wells were successful and Condor discovered natural gas at a greater depth than was previous known, so it has substantially increased the mapped reservoir area. The company also found two new deeper reservoirs that could have significant resource potential, so we expect a substantial increase in the reserves of Poyraz Ridge field. Also later this year, Condor plans to drill the Yakamoz 1 exploration prospect that is structurally similar to Poyraz Ridge field, which is only 2 km away. TER: What's the high impact upside with Condor? BN: The big exploration plays are in Kazakhstan. Condor holds a 100% interest in the Zharkamys West 1 block, which is in western Kazakhstan in the Pre-Caspian Basin. The basin has super-giant oil fields including the 13-billion-barrel Kashagan field and the 9-billion-barrel Tengiz field. Later this year Condor plans to drill the Korumbet NW exploration well targeting an intra-salt structure that has the potential to hold a recoverable resource of 45 million barrels. But the real upside is the pre-salt play. The cost of the well could be $25 million, so Condor will need to secure a partner before it can try to drill a potential company maker. TER: Any other international names with big upside? BN: Madalena Energy Inc. (MVN:TSX.V; MDLNF:OTCPK) has certainly had its ups and downs in the downturn of the energy market, but we think the company is finally turning the corner. In January, the company farmed out a 55% interest in the Coirón Amargo Sur Este block to Pan American Energy LLC. Madalena keeps a 35% stake in this prime Vaca Muerta shale asset and received US$10 million in cash and a carry on a two-well drilling program. The first high impact horizontal well targeting the Vaca Muerta shale should spud in the first quarter. The deal with Pan American has not only put Madalena back in business, it should also get the market excited again as horizontal drilling begins in the Vaca Muerta shale and there is the potential for a carried deep gas test by Pan American Energy. TER: Is the investment situation in Argentina improving? BN: The situation has definitely improved since Argentina's new president, Mauricio Macri, took office in December 2015. Macri cut farm export taxes, lowered personal incomes taxes and reduced utility subsides. He lifted currency controls, which allowed the Argentina peso to float for the first time since January 2002. The Macri government also lifted restriction of capital movements out of the country. In January 2017, the government announced that it will maintain the natural gas price at US$7.50/mmbtu. The federal government and the provincial government of Neuquén reached an agreement with the labor unions to reduce costs in exchange for increased investment. As a result YPF, Total, Shell, Chevron, Dow and Madalena's new partner Pan American Energy pledged to invest a combined US$5 billion in 2017 in the development of the Vaca Muerta shale play, increasing to US$15 billion per year starting in 2018. TER: What's the direct impact on Madalena? BN: Madalena has a number of high-quality blocks Argentina and is actively looking for a deal to appraise and monetize the huge potential resource on its blocks. In November 2015, the company released the results of an independent resource estimate of the Vaca Muerta and Lower Agrio shale within two key blocks within the Neuquén basin in Argentina. The total net unrisked contingent and prospective resource within the Coiron Amargo and Curamhuele blocks was estimated at over 1.5 billion boe. The improved political and fiscal situation in Argentina and the massive injection of new capital into the energy sector can only help MVN secure a sale as a potential takeout target or joint venture on one or more of its assets, which would be a huge catalyst for the stock. At the current market price the company trades at a deep discount to the value of its conventional producing assets alone, giving no value to the potential of the Vaca Muerta shale and Lower Agrio Shale resources tha t the company holds. TER: Thank you for your time, Bill. Bill Newman is vice president of international and domestic oil and gas research with Mackie Research Capital Corp. He has been an energy analyst for 21 years. 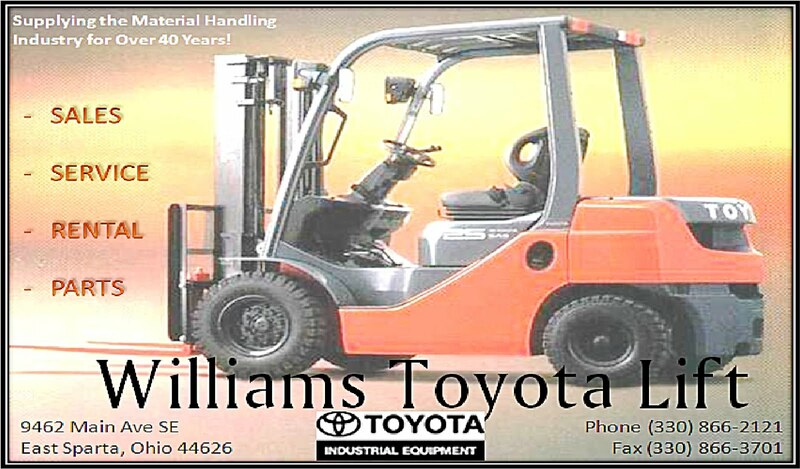 He holds a bachelor's degree in commerce from the University of Calgary, and has a CFA designation. Want to read more Energy Report interviews like this? Sign up for our free e-newsletter, and you'll learn when new articles and interviews have been published. To see a list of recent articles and interviews with industry analysts and commentators, visit our Streetwise Articles page. 1) Patrice Fusillo compiled this interview for Streetwise Reports LLC. She provides services to Streetwise Reports as an employee. She owns, or members of her immediate household or family own, shares of the following companies mentioned in this interview: None. She is, or members of her immediate household or family are, paid by the following companies mentioned in this interview: None. 2) The following companies mentioned in this article are sponsors of Streetwise Reports: None. Streetwise Reports does not accept stock in exchange for its services. The information provided above is for informational purposes only and is not a recommendation to buy or sell any security. 3) Bill Newman: I own, or members of my immediate household or family own, shares of the following companies mentioned in this interview: None. I am, or members of my immediate household or family are, paid by the following companies mentioned in this interview: None. My company has a financial relationship with the following companies mentioned in this interview: : Within the last three years, Mackie Research Capital has managed or comanaged an offering of securities for, and received compensation for investment banking and related services from Madalena Energy Inc. I was not paid by Streetwise Reports for participating in this interview. Comments and opinions expressed are my own comments and opinions. I determined and had final say over which companies would be included in the interview based on my research, understanding of the sector and interview theme. I had the opportunity to review the interview for accuracy as of the date of the interview and am responsible for the content of the interview. 6) From time to time, Streetwise Reports LLC and its directors, officers, employees or members of their families, as well as persons interviewed for articles and interviews on the site, may have a long or short position in securities mentioned. Directors, officers, employees or members of their families are prohibited from making purchases and/or sales of those securities in the open market or otherwise during the up-to-four-week interval from the time of the interview or article until after it publishes. The Ohio Department of Natural Resources has released the latest weekly permitting report for horizontal drilling in the state's Utica shale play, and the Utica rig count has continued the recent trend by dropping again. Eight new permits were issued last week. Six of the permits listed are for wells in Monroe County, while two were for Belmont County sites. This brings the new total of horizontal drilling permits issued to 2,381. 1,899 wells have been drilled, and 1,486 wells are producing. The rig count is down from 21 last week to 20 on this latest report. View the report by clicking here.